A favorite among cats and dogs everywhere! 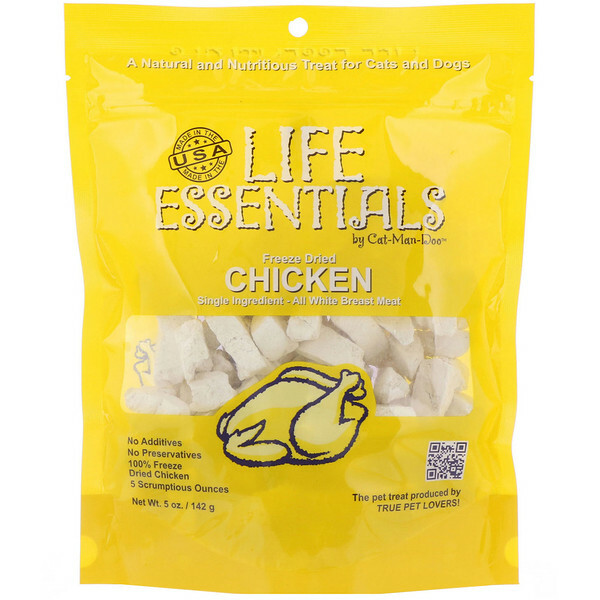 Life Essentials Freeze Dried Chicken can be crumbled over food as an appetite enhancer. Re-hydrate with warm water for a soft delicious snack or simply give it to your cat or dog as an everyday treat. 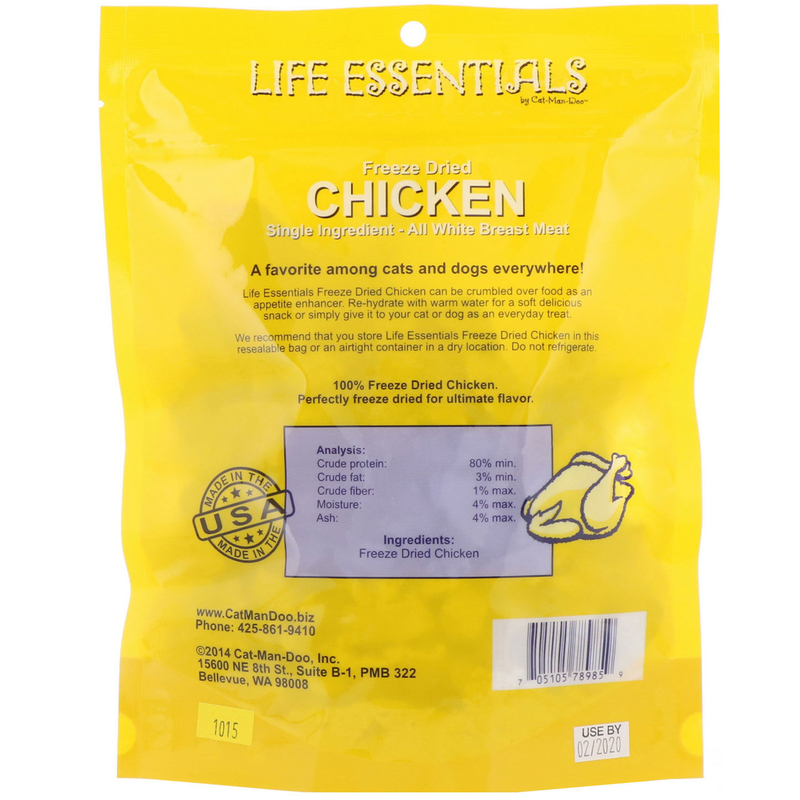 Life Essentials Freeze Dried Chicken can be crumbled over food as an appetite enhancer. Re-hydrate with warm water for a soft delicious snack or simply give to your cat or dog as an everyday treat. Freeze dried to perfection to optimize flavor. We recommended that you store Life Essentials Freeze Dried Chicken in this resealable bag or an airtight container in a dry location. Do not refrigerate.